Enjoy townhome style living with this two story apartment. 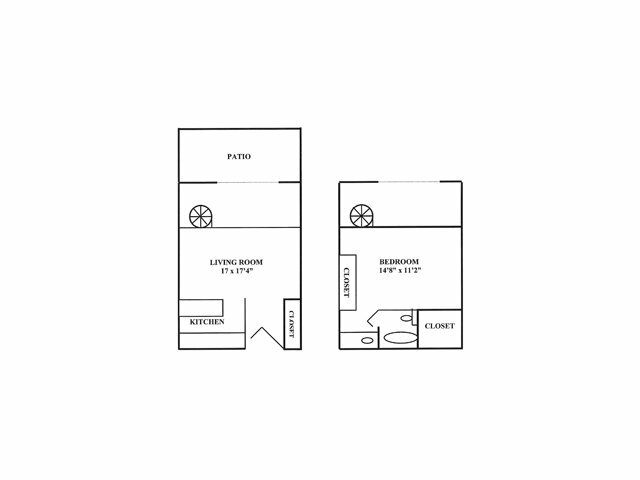 The first floor features your living room, kitchen and private patio. The second floor offers your bedroom and bathroom.